A full year ago, at the close of 2016, it wasn’t going to be much of a stretch to say that cloud computing will continue to dominate headlines in the web world throughout the coming year AND beyond. Of course that turned out to be entirely true, and the ‘beyond’ at the end looks to be pretty accurate too with the fact that the Cloud is still front and centre as a newsmaker moving now into 2018. Here at 4GoodHosting, we buy in entirely to the belief that the best Canadian web hosting provider will always be one with their thumb on the pulse of digital and web publishing technologies. Accordingly we’re always immersing ourselves in every permutation with which cloud computing is affecting the daily lives of those with vested interests in their online presence. Look no further than the fact that that by 2020, it’s estimated that public IT cloud services will account for 58% of the $355 billion combined spending on traditional plus public cloud applications, development and deployment tools, infrastructure software, storage, and servers. 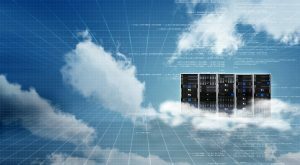 Public cloud services aren’t going to be everything though, as the dominant cloud model in coming years will revolve around hybrid cloud systems. There seems to be a consensus on what the coming year will have in store as regards the Cloud, so let’s have a look at in detail for our last blog of 2017. Edge computing will become a part of your business, whether you choose it to do so or not. Many digital business projects create data that is processed more efficiently when the computing power is in close proximity to the thing or person generating it. Edge computing solutions make it impossible to embrace all the benefits of localized computing power. Those responsible for IT infrastructure and operations should understand the associated business value and risks when managing these solutions, and this applies to much more than just content. Advanced devices like IoT and IIot will be front and centre with the edge, with approximately 43% of IoT data likely being processed at the edge by the time 2020 rolls around. How good is your user experience? Are you supporting new business initiatives? Are you intelligently distributing resources and content to users? Are you able to legitimately decentralize your data centres? Chaos is truly the only word to describe security in the cloud age. Nearly every one of the ever-increasing numbers of breaches comes with conjoining problems. We can’t even define cybersecurity the same way any longer. As we move forward, don’t expect there to be a silver bullet for your security requirements. Sure, there’s been progress with predictive security analytics, machine learning, security process automation, and even security AI, but they’re not anywhere near what we’d call sufficient so far. What you can do is make sure your security architecture isn’t complex or fragmented, and leveraging more than one security tool is a great idea. Having too many, on the other hand, will be detrimental more often than not. Check out the new solutions which help with cloud-to-cloud security, advanced sandboxing, and even threat telemetry based on intelligent contextual engines. The best put their focus on security intelligence, data integration, and focusing on root causes around security holes. Leverage these tools, and start with them ASAP. Today’s digital transformation and cloud computing trends are creating a need for significant changes to enterprise WAN architectures. We’re seeing the adoption of SaaS, IaaS, and other cloud services accelerating and heightening the need for significant architectural changes to WAN, and there’s a very real accompanying need to reduce the complexity and cost of WAN provisioning and management. Some means that have shown recent promise for doing so include software-defined technologies help organizations abstract key services from hardware systems. They can be deployed for greater WAN control, content delivery optimization, and for better remote data centre controls as well. The best ones are entirely flexible, agile, easy to deploy, and help optimize the way you deliver content. You’ll be able to closely monitor user performance and experience, how your WAN is operating, optimize specific applications, and I highly recommend you take a look at these systems. Deploying a couple of virtual appliances to test out new WAN solutions isn’t difficult or overly expensive. Estimates suggest that around 10% of enterprise-generated data is currently created and processed outside a traditional centralized data centre or cloud. Get ready for that number to reach 50% within 4 years. Growth in machine-to-machine connections and applications is also driving new data analytics needs in response to the trend. This is why it’s critical to understand IoT technologies, as the applications tend to be night and day different. The bulk of them and all their ins and outs would be an entire separate post on its own, but the most important thing to understand is that you will be creating more data. That in itself likely isn’t surprising, but what may well be is that most of this data will be ephemeral in nature and neither saved nor stored. Long story short? There will be approximately 10 times more useful data being created (than will be used in the near future. This will prompt advances in machine learning, data intelligence, and even IoT analytics engines. Be ready for more connected devices that leverage their data much more judiciously. No shocker here, but the global mobile workforce is set to increase, and in fact it’s forecast to grow from 1.45 billion in 2016 to 1.87 billion in 2022, a jump from 38 to 42.5% of the global workforce. Those of you who will be keeping up best will be deploying new wireless technologies that help users connect and be productive, and delivering apps, desktops, and services to users contextually. In the bigger picture, organizations that embrace their user’s connected state will see the biggest benefits from enabling a more productive mobile workforce. Organizations not on the public cloud will be increasingly isolated from the world of tech innovation. In summary, it’s important to define what cloud means for you organization and user base. This year you should make sure to work with solutions that fit your specific use-cases, aligning business processes with strategic IT goals, and working with end-users to understand collectively how to best manage your resources. From all of us at 4GoodHosting, all the best to all of you in 2018. Businesses without an online presence are few and far between these days, and there is a vast number of options for web hosting for those who’ve joined the majority and taken their business online. The bulk of those business owners won’t know one type of hosting from the other, and that’s perfectly fine – we may well know little to nothing about the ins and outs of your industry also. Here at 4GoodHosting, part of what’s made us a top quality Canadian web hosting provider is the way in which we’re entirely receptive to the differing needs of businesses when it comes to optimally locating themselves on the World Wide Web. Web hosting is most certainly not a 1-size-fits-all utility, and we offer different options accordingly. Which leads us to this week’s discussion. Collocation is something of a ‘buzzword’ in the industry these days, and as such we’re going to lay it out in detail in this week’s blog. Conventional shared hosting will be fine for small businesses with a stable number of visitors, but a large multinational – for example – will probably have its own web servers. Those of you who are somewhere in between may want to look at colocation. It’s when companies locate their own privately-owned web servers and IT equipment in a 3rd-party data centre. They don’t own the space, they rent it. The total space available will be rented out to many different companies, and the provider will offer day-to-day support to accommodate the entirety of the clients’ web presence needs. You’ll get bandwidth, power, cooling, security (physical and cyber), and as many IP addresses as needed. Client companies are responsible for maintenance and upgrades, but some data centres will offer this service for an additional cost. How much space is available in a colocation data centre? That’s a measure of racks and cabinets. The physical server equipment is kept on a rack, and most measure 1.75” high. On average, 47 racks make up a cabinet and clients typically can rent out full or half cabinets. There are plenty of advantages to choosing colocation over shared or private hosting. For starters, colocation tends to be a very reliable way for larger businesses to be optimally hosted on the web. There’s a number of reasons for that; power outages are rare and most data centres will have the means of quickly overcoming them if they do occur. In addition, the data centres tend to be extremely reliable when it comes to backing up data. Add the fact they’re nearly always especially secure with strongly-locked cabinets, CCTV, and in-person security staff and you needn’t concern yourself with data security. Colocation generally offers a more fully-functional web service than you’d get with shared hosting. That’s primarily attributable to greater bandwidth and lower latency when it comes to loading your web pages. Moving right along, colocation also offers more flexibility in comparison to most web services. You’re more able to choose a plan that really suits you, and upgrade as needed when your business grows. Keep in mind that the expansive bandwidth you get with colocation is often cheaper per volume than you’d get with shared hosting. Added control is a plus too. Although you’re responsible for your own server equipment, it means if you want to upgrade anything, you can. If you don’t want to, you don’t have to. Finally, colocation is a great way of saving office space. No need for a big rack room anymore. Choosing a maintenance option, if available, can also save IT staff and logistics costs. Colocation does have some specific drawbacks, however. This starts with the fact that most colocation data centres are found in major metro cities. If your office isn’t in one of them, you may struggle to find a colocation centre that works for you. You can still go with colocation, but you’ll have to travel to that data centre, at least in the beginning. That’s because you’ll need to install and maintain your equipment. Like any office, the colocation centre will have office hours and you’ll have to work around those hours. For some, that takes away from the practicality of going with colocation for web hosting in Canada. Another consideration is that you’ll likely have a lease with the data centre (definitely the norm) and you’ll be tied to them for the duration of it. If you move cities, this could be problematic. Last in our list of potential drawbacks is the fact that while bandwidth is often cheaper through colocation in comparison to shared or VPS hosting, with colocation you have no choice but to buy all the hardware yourself. That’s an added cost, and typically not a small one. Depending on your plan, you may have to pay extra as your business grows and you begin to receive that ever-welcome increase in web traffic. Who is Best Suited for Colocation? Those of you simply running a personal website or blog won’t need to invest in colocation. On the other hand, if you’re running a large business, then you will probably want to own and run your own web services. Some of you may be between those 2 stages, and it’s you who’ll benefit most from colocation for your web hosting. You can sport a large, professional-looking web presence, while having your data centre take care of the grunt work of day to day web operations. There are pros and cons to colocation. However, if your business is at that formative middle stage of its growth, it can be just right for you. As always, don’t hesitate to be in touch with us here at 4GoodHosting if you have any questions regarding which type of web hosting is best for your business. Now more than ever before it’s very important for any website that allows for transactions between vendor and purchaser to have an SSL certificate. This is in large part because Google’s newest update is now geared to make any site without one very visible to anyone visiting it. In fact it’s actually even taking punitive measures against sites that don’t feature an SSL cert. In previous versions, websites with an SSL would get an SEO boost, but now any HTTP websites with any kind of text input will be tagged with a “Not Secure” warning prominently – and painfully – displayed in the address bar. Here at 4GoodHosting, we pride ourselves on being a Canadian web hosting provider that has something for everyone when it comes to taking your venture, business – or even just yourself – onto the World Wide Web. A good many of our customers are in business online, and we’ve been offering quality, affordable SSL certificates for many years now. Some people many not like this new reality, but it is what it is and in the big picture of things it’s a positive as identity theft and fraud are ever-increasing threats to those making transactions online. Is your website set up for taking text input? This can include contact forms, search bars, login panels, etc. Answer “yes” to both of these questions and – long story short – you need to install an SSL certificate for your website. But let’s dig into this deeper. Difference between a Shared SSL and a private SSL Certificate? There are differences. 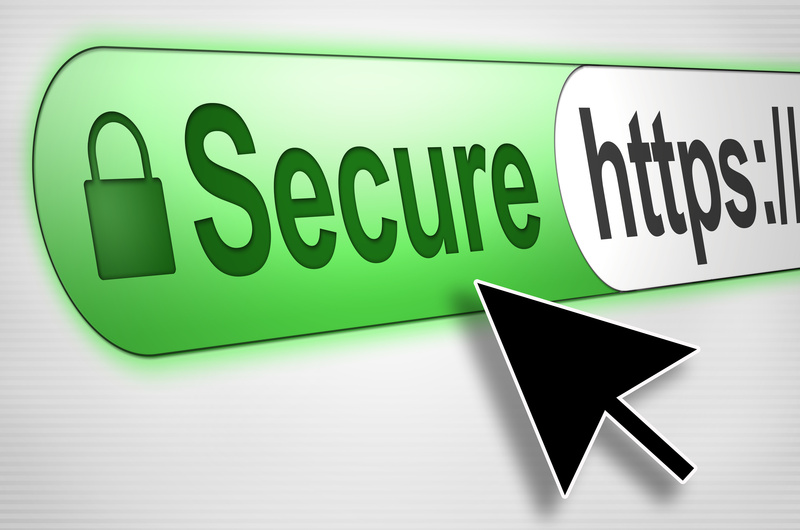 The two types of SSL available for a website are Shared SSL and private SSL certificates. Free SSLs are a third one, but there are plenty of reasons why you should stay away from free SSLs and we’ll get to that. We’ll start by making clear that there is no difference between a Shared SSL and a private SSL certificate as far as the level of encryption is concerned, or how effective that encryption is. The difference between a shared and private SSL certificate lies primarily in the URL of the encrypted website and the cost of purchasing them. Shared SSL means the SSL certificate is installed on the web server, and that means you are sharing the SSL with other hosting accounts on the web server in a shared hosting environment. Rather than https://yourdomain.com, your URL will then be https://youraccount.4goodhosting.com. While a shared SSL certificate is an affordable site security solution, it’s not always ideal and here’s why. Due to the fact you’re using your web server’s shared SSL, the SSL is not linked specifically to your domain name, but instead to the shared server’s domain name. This may resulting in the web browser sending an alert or certificate warning to your visitors when they try to access your site – the problem being that the domain name they are visiting doesn’t match the domain name listed there on the SSL certificate. To summarize, shared SSL certs are best used in situations where the need is for a secure connection to the server that will not be seen by the general public. This could be when logging into webmail or the admin area of your website, as one example. SSL Certificate details can be viewed on your web browser. I you are using Google Chrome, you can get the scoop on a website’s SSL certificate by going to More tools > Developer tools > Security. You can also view a SSL certificate’s details in other browsers – Firefox, Safari and Internet Explorer – depending on your preference. Making this information available to your visitors will help them make a comfortable determination who they are doing business with, as well as assuring them that the website is safe. Keep in mind though that because the shared SSL is issued to the shared web server, your business name will not be on it. 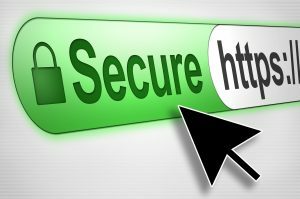 Yes, your website is protected by the SSL certificate, but it will not have foster the same of level of trust in the visitor that a private SSL certificate will. There are many other eCommerce solutions out there that work well with a shared SSL, but shared SSL is not recommended for any eCommerce website. It’s worth nothing that a number of major banks will not issue internet merchant accounts to business utilizing a shared SSL certificate. It’s helpful to understand further that in order to accept credit card information on your website, you must pass certain audits and validations showing you to be in compliance with the PCI (payment card industry) standards, and one of the requirements is a properly installed SSL certificate. These days some are asking whether a shared SSL would affect search engine rankings, and the verdict seems to still be out on that one. Many experts, however, believe that Google favours websites coming with their own SSL certificate. They might not be insufficiently encrypted. SSLs come in various encryption strengths. Any free SSL certificate is going to be of the weakest possible encryption. Purchasing a private SSL certificate is the smart choice, and decidedly affordable too. You can purchase an SSL certificate and a dedicated IP (which is required for the SSL installation) as an add-on to your current hosting plan. Purchase both from 4GoodHosting makes the process quick and easy,, but SSL certs purchased elsewhere can be installed through your cPanel. Another cost and time effective option is 4GoodHosting’s Advanced Hosting plans. Included as part of the plan is a private SSL certificate which will protect the domain with 100% reliability. You can find more information about our advanced plans here. Let’s keep people darkening your virtual door, and keep you standing in good stead with Google! What’s that, you say? This week’s topic may seem a little ‘surreal’, but there is, in fact, such a thing as a zombie server and there’s increasing numbers of them out there draining away power and resources that could otherwise be put to more productive purposes. It’s certainly a power efficiency problem, but it’s also an environmental problem as well as a capital resource problem. Zombie servers have now become a major hassle for data centres around the world. Comatose devices running with no external communications or visibility, and contributing nothing in the way of computer resources. Here at 4GoodHosting, we like to think that staying on top of major trends in the industry is a big part of what makes us a good Canadian web hosting provider. And considering that estimates now suggest that there are over 10 million zombie servers worldwide, this is definitely one that we’d prefer to never be discussing again. These 10 million+ servers are wasting the equivalent of the electrical power generated by eight major power plants. Reliable research indicates that 30% of servers are comatose, and that means that almost one-third of capital in enterprise data centres is squandered. Then you add the security risk posed by zombie servers because of how they aren’t patched or maintained. It’s a fact that identifying a zombie server isn’t easy, and particularly for those who don’t interact with them frequently or extensively. More and more data centres with hundreds and thousands of comatose servers are completely unaware of the power these devices eat up. Many of these ‘zombies’ remain anonymous, devouring energy while providing no real active function. Example of their evil ways include dozing off for months at time, generating heat for no real reason, and accelerating the power meter simply for the sake of doing so. And more often than not the only way to identify them is to walk up down the aisles of a data centre with a clipboard taking notes of the transgressors. That’s something few operations managers have the time to do. Consider as well that another massively problematic issue related to these zombie servers is the physical space they take up. Keep in mind that servers are huge machines that occupy precious and often pricey real estate in city centres. Hyperscalers understand this and are pushing forward to design the most energy-efficient data centres. For example, in 2011, Facebook launched the Open Compute Project. The initiative to rethink and re-implement hardware design was prompted by the company’s determination to design a data centre that could handle unprecedented scale, while being cost-controlled. Taking that lead, Apple has announced plans to build a $1.3 billion, state-of-the-art data centre that will be located in less-pricey Iowa and run entirely on renewable energy. In this era of energy-consciencous data centre operations, it seems we’re finally taking aim at zombie servers. Data centres around the globe host vast and ever-growing silos of information. Supplying the needed energy for these centres has become a MAJOR expense. Long story short, tens of billions of dollars are wasted on these walking dead, and eliminating them would free up some 2 gigawatts to support new IT loads performing real work instead of wasting electricity and space. A 2012 investigation turned up some 20,000 zombie servers. Shutting them down resulted in a 5 megawatt reduction in IT load and an additional 4 megawatt drop in cooling and infrastructure load. If we put these savings in a global context, eliminating all the zombie servers around the world might just create a 4 gigawatts of combined IT and infrastructure load reduction. All of this redirect able infrastructure could support new IT loads that deliver real work instead of simply wasting electricity and space. This is a big deal no matter how you want to look at it, especially when it’s estimated that U.S. data centres consume over 91 billion kilowatt-hours of electrical energy on average each year. By 2020 that number is expecting to jump by 53%. Eliminating zombie servers and boosting energy efficiency could cut electrical usage by 40%, and it’s really something that’s both necessary and attainable. Fortunately, energy remains the one cost data centres can reduce via proper facilities design and management. Some centres have taken the lead in finding, waking up, or shutting down zombie servers. 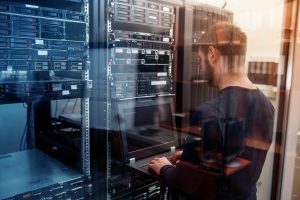 Proper facility management means many servers that are no longer needed can be identified and shut down, while others are oriented to now run their software on the cloud. It’s quite telling when some companies report cutting their energy consumption by over a third by taking these steps. Any operations manager that’s up for that challenge will find that it takes a coordinated effort to see these energy savings happen. Only an IT technician will know which devices can remain live, and which ones can be turned off. Those decisions should only be made by a person who is explicitly in the know and entirely aware of what they’re doing! We’ll need both of them walking the server tunnels, and making a joint decision on which zombies get their plugs pulled. Unfortunately, this day or reckoning rarely comes for most of the zombie servers. Yes, data centres are eager to solve the problem, but they’re impeded by the need to keep idle servers running lest they accidentally make a mission critical server inoperative. Yes, in many cases the zombies are kept alive ‘just in case’ there’s been an error in their identification. Some new data centre tools, however, allow their operators to easily spot and shut down zombie servers, and that includes physical, virtual or even cloud versions. Doing so creates a dramatic improvement in the sustainability of their infrastructure, with a marked increase in both economic and environmental efficiencies. Next-generation software can optimize on-premises infrastructure, including IT servers, storage and network, plus virtual machines (VMs) and off-premises cloud constructions. We’ll guess the majority of data centres will keep their heads in the sand about zombie servers. Some may continue to attack the problem with half-hearted combat efforts – shutting down a server here and there – but not really making much of a dent in the problem. Without a truly holistic and far-reaching approach to the problem, the efficiency and very existence of many of these data centres may eventually fall victim to the undead hordes of the web computing world.